Prerequisite: basic knowledge of clay. Must have level one clay techniques or equivalent. 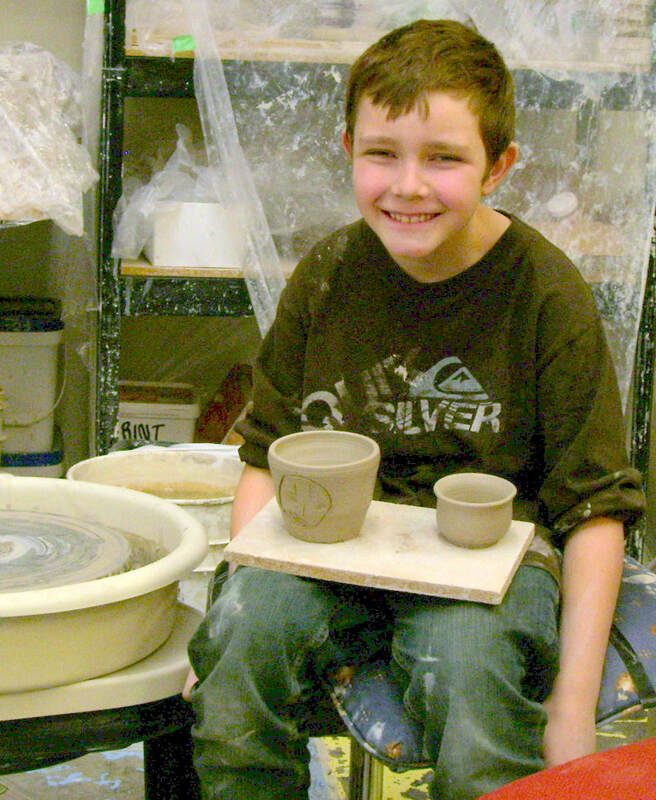 Students will further their creative aspirations with five days of pottery wheel techniques. 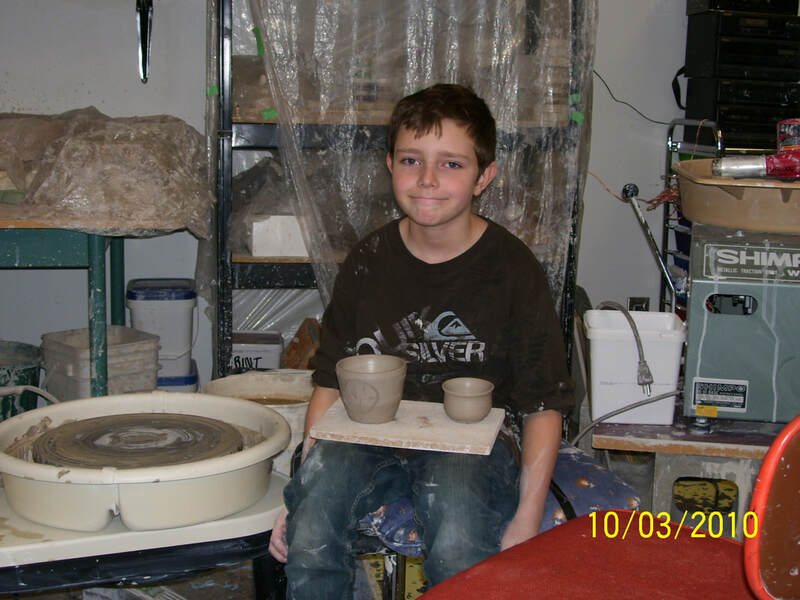 Throwing a cylinder and bowl, The fifth week will be spent on various glazing projects that will be discussed in class. Work will be ready to pick up on the following Friday. Please note some children may not have the upper body strength to work completely by themselves and so will be coached and helped by the instructor. Five educational and creative days of fun. 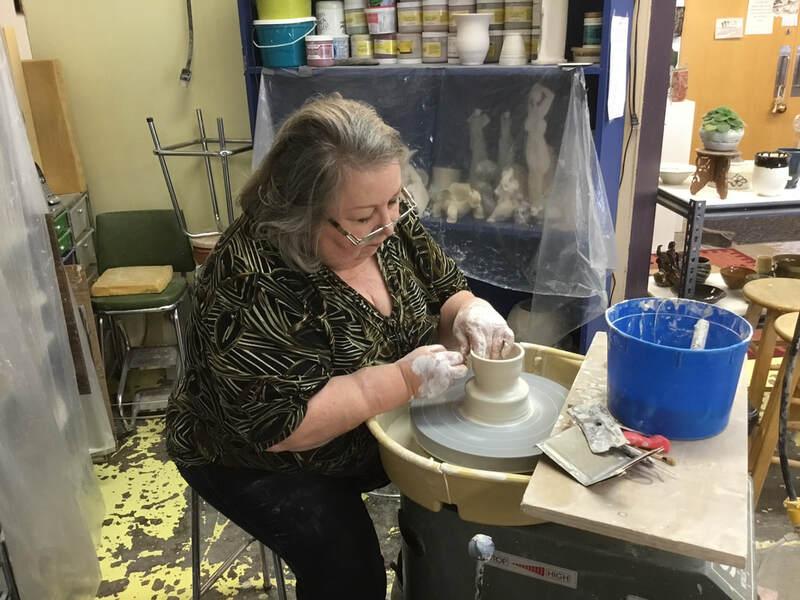 Throwing the clay on the wheel. What a fantastic experience for children. Taking the clay off successfully WOW! The clay must be ready to fire next week.